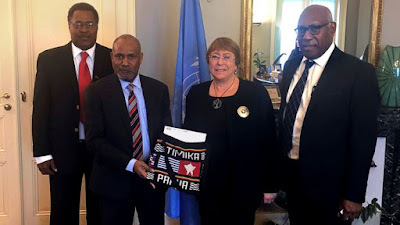 Courtesy Vanuatu, Benny Wenda presents petition to Michelle Bachelet. The U.N. High Commissioner for Human Rights, Michelle Bachelet was taken by surprise on Friday 25 January when exiled Papuan independence leader Benny Wenda walked into her office. “During this meeting, one member of the Vanuatu delegation, Mr. Benny Wenda, presented the high commissioner with a petition. This was not actually a meeting arranged with Mr. Wenda for that purpose,” she said, adding that Ms Bachelet “was not aware” in advance. 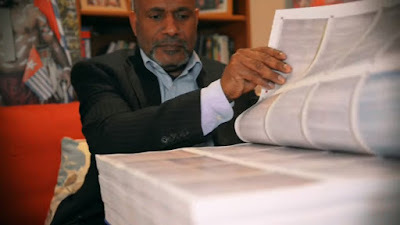 The petition, which Indonesia has banned, carries over 1.8 million Papuan signatures collected in secret and at great risk. As Australian journalist and author John Martinkus explains, the petition “calls on the UN to review the controversial 1969 vote that transferred control of West Papua to Indonesia. The Act of Free Choice vote, often referred to as the Act of No Choice by its detractors, saw 1026 people – selected by the Indonesian military – vote on behalf of their fellow West Papuans to give up sovereignty for Indonesian citizenship. In September 2017, Benny Wenda took the petition to New York, where the UN General Assembly was in session, with the hope of getting it into the hands of the United Nations Special Committee on Decolonisation. Unfortunately, the committee’s chair, Rafael Ramirez (Venezuela), claimed not to have received the petition, before adding that it could not be accepted anyway, as Papua “is not on the agenda” and “Indonesia is a very good friend of ours”. 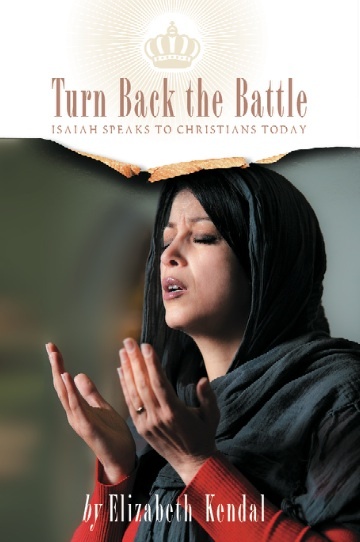 Religious Liberty Prayer Bulletin (RLPB) 426, 4 Oct 2017. Needless to say, Mr Wenda’s 25 January coup has infuriated Indonesia. Indonesia’s Ambassador to the UN, Hasan Kleib, strongly condemned Vanuatu for essentially sneaking Wenda in and helping him get access to Bachelet. “(They) deliberately deceived the High Commission by taking manipulative steps through the infiltration of Benny Wenda into the Vanuatu delegation,” Kleib fumed. Unfortunately, in this battle for human rights, the Papuans have very few international friends. Australia, America and the United Kingdom – economically influential democracies that should be advocating for human rights in Papua – are more interested in keeping Indonesia out of China’s sphere of influence. And so the human rights of the mostly-Christian indigenous Papuans are sacrificed on the altar of good relations with Indonesia, for geo-strategic and economic gain. One of Indonesia most controversial development projects is the Trans-Papua Highway, or Trans-Papuan Economic Corridor. The enormously expensive Trans-Papua Hwy will traverse Papua’s long-untraversable highlands, linking industries, mines and oil and gas hubs, while ploughing through pristine tropical rainforest, the world heritage listed Lorentz National Park and vast tracts of customary lands belonging to indigenous Papuans. 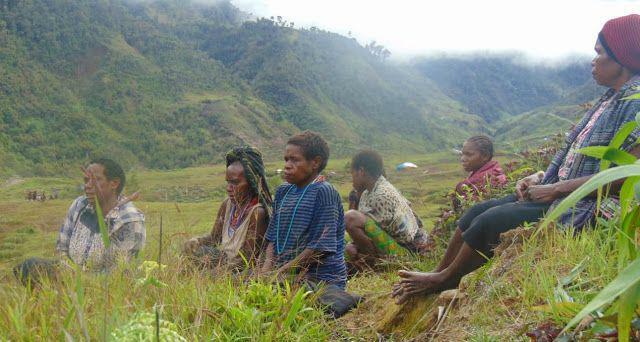 On 2 December 2018, rebels affiliated with the West Papua Liberation Organization (WPLO) – a militant wing of the Free Papua Movement – abducted 25 construction workers working on the Trans-Papua Hwy in Nduga province, in the central highlands, north of the Freeport Grasberg mine. The next day the rebels took their captives to a nearby hilltop and shot them, killing 19 and injuring 4, who pretended to be dead to escape. The WPLO claim that the laborers were actually armed Indonesian soldiers (TNI) who had attacked them. Reportedly, on 1 December, Papuans had spotted one of the laborers taking photographs of the Papuans as they raised the banned Morning Star flag in commemoration of the 1 December 1971 declaration of Papuan independence. As would be expected, a heavy influx of TNI forces descended on Nduga province; retaliation has been swift and hard. While the military claims to be hunting the rebels responsible for the killings, the crackdown has forced some 32,000 mostly-Christian indigenous Melanesian Papuans to flee their homes. Many are struggling to survive in the jungle; at least nine women have given birth. In the Mbua district, two school children were shot dead by Indonesian security forces (TNI). Across Nduga region, the TNI has damaged or destroyed at least 34 schools and churches; it has also seized the SION GKI Mapenduma church for use as a military base. Those who have fled say they are too afraid to return to their homes. Women and children are dying in the forest and camps for want of food and medical treatment. Reports and photos have emerged of victims with deep burns. Canisters have been found which lend support to local claims that the TNI has been dropping explosive devices containing white phosphorous from helicopters. Naturally the TNI denies this. In fact the TNI is denying there has been any destruction at all, claiming it is all a ‘hoax’. Father John Djonga has called for the Indonesian government to allow access to media, humanitarian organisations and a UN human rights mission. As Indonesia drifts from Pancasila to Islamisation, the human rights situation in Papua takes on a whole new urgency. These are watershed days. 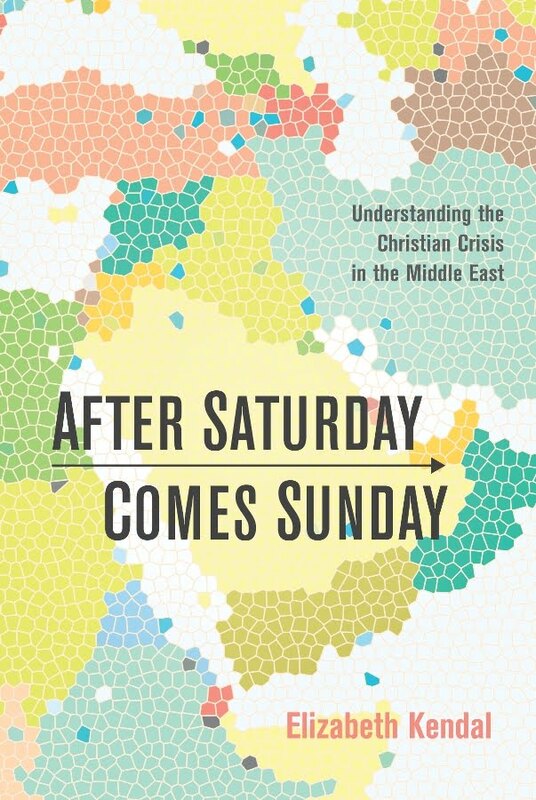 The future of a Christian people is in the balance. While searching for more details on the situation in Papua, I came across the following feature article in the Jakarta Globe. It might represent a still small Indonesian voice, but it is encouraging. It also offers some insight into Papua for those who are unfamiliar with this closed land. with supporter James Riady (center back) and local students.